So when I was doing research on what restaurants to hit in London, the Social Eating House appeared on a number of “Top” lists. Of course, this meant I needed to try it out! 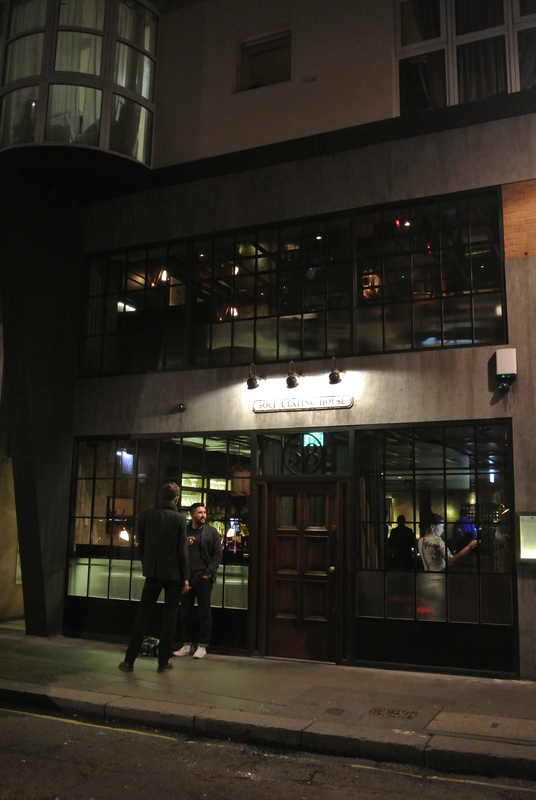 Located in SOHO on a small street just south of Oxford street. 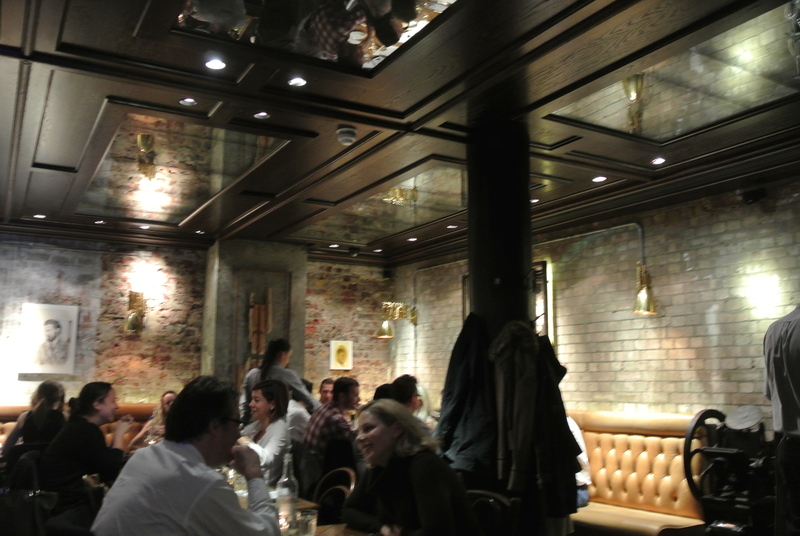 The restaurant had a great vibe, relaxed with big leather banquettes. 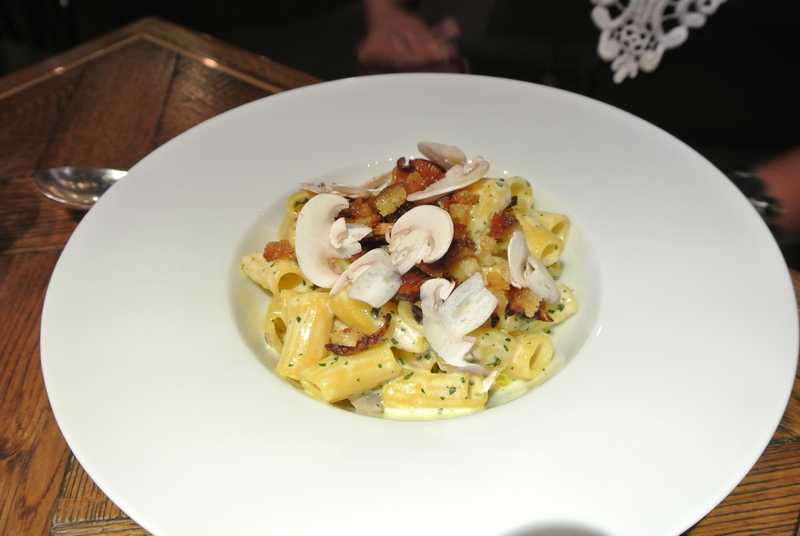 The food was fantastic with well thought out combination of ingredients. I must say though, the best part of the meal was the dessert! As a kid, I loved fig newtons so when I saw BBQ black fig with a fig roll on the dessert menu, I just had to have it! How can anyone resist homemade fig newtons? 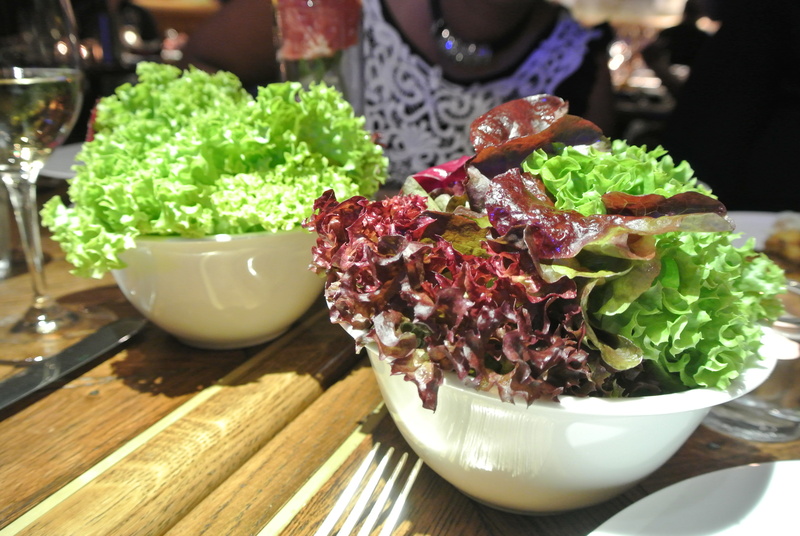 It was delicious with muscat grapes, balsamic ice cream and sugared tarragon leaves. However, the best dessert of the night has to go to the PBJ cherryade parfait with peanut ice cream and cherry jam donuts! If you love peanut butter and jelly, this is the dessert for you! Check out our meal! 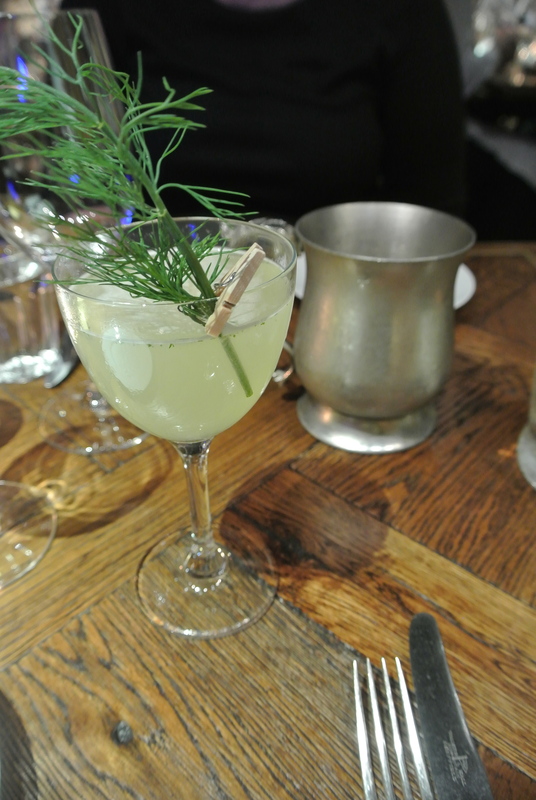 Dill or No Dill cocktail – gin, cucumber, lemon juice, elderflower, fresh dill and smoked salt. 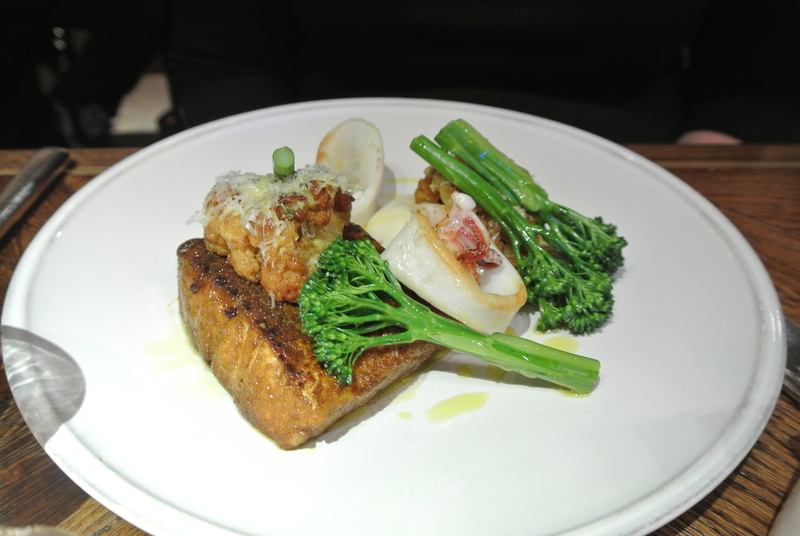 Baked curried hake – baby squid, roasted cauliflower and cheese. 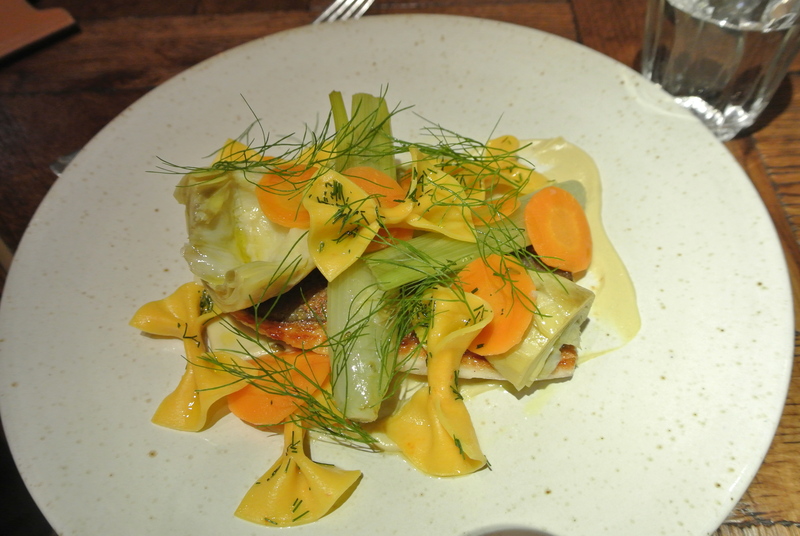 Roasted wild cornish bream – saffron farfalle, truffle artichoke puree and artichoke barigoule. Macaroni and cheese with shaved mushrooms. 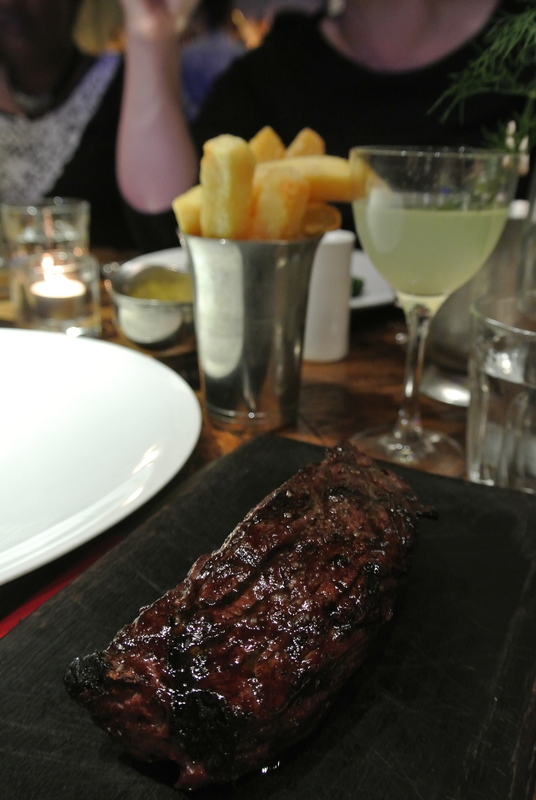 Cumbrian native breed bavette with duck fat chips and bearnaise sauce. 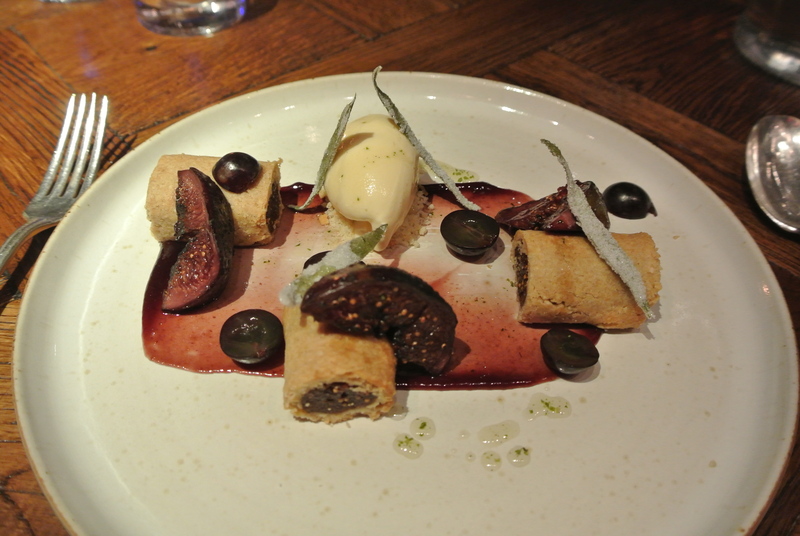 BBQ Black Fig – muscat grapes, white balsamic ice cream and fig roll. 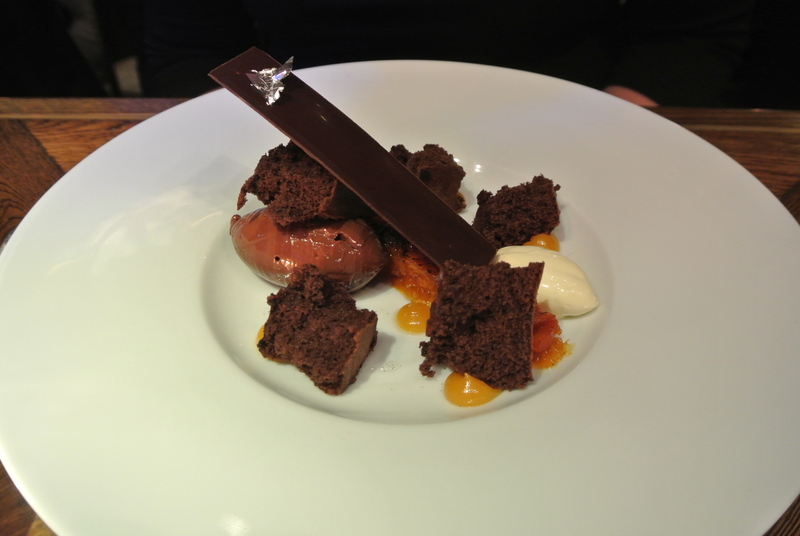 Chocolate & Orange – candied clementines, chocolate sponge and devon cream. 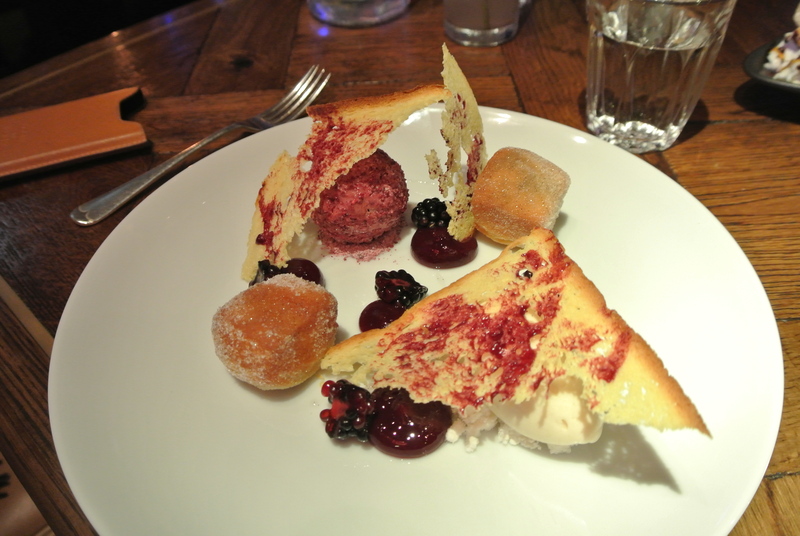 PBJ Cherryade Parfait – peanut ice cream and cherry jam doughnuts. 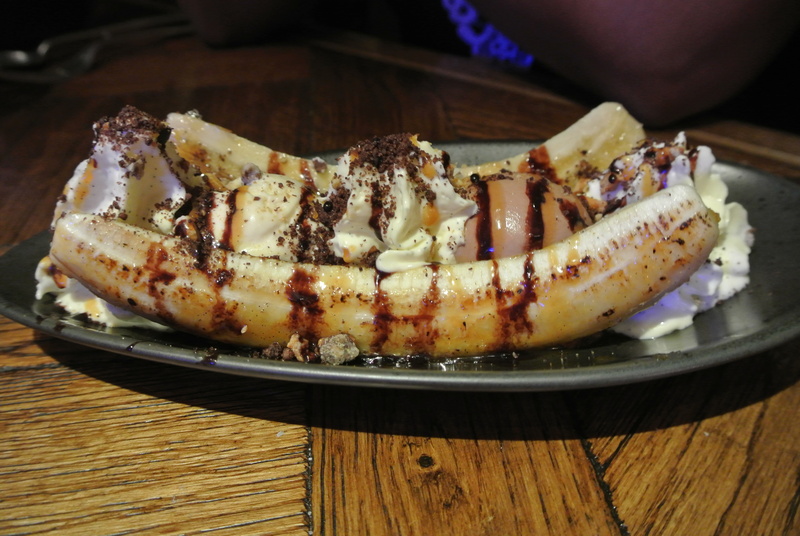 Banana Split – Chocolate ice cream, banana, rum caramel and chantilly cream.